A woman, of about average height and with a lean, active figure. Her body's shape is more defined by bone and muscle than curves, though the contours of shoulders and hips make her gender clear enough - not that she generally does anything to accentuate that. Her wavy sorrel hair is cut to about shoulder length. Short enough that it fits under a riding helmet, long enough that she can tie it back or otherwise style it if she decides to - though usually it just hangs in a loose mane. Overall, her features are more sturdy than delicate. A broad nose, a stubborn chin, and strong brows over plain brown eyes… not to mention she's got a big mouth. She's dressed simply, in an olive green short-sleeved shirt and rusty brown trousers. They're both well-made, of tough fabric for practical use. Less practical is a necklace of interwoven orange and blue bearing a round pendant of gold-flecked green and blue glass, but it's half hidden by her shirt. The rest is back to practical. Her feet are stuck into woolen socks and leather boots, and she's got a plain brown wherhide jacket for when she needs it. Her knot is that of a dragonhealer. Soriana was born after Sorrin's gold Yumeth rose, and lived her childhood with her mother at a small cothold some distance from Ierne Weyrhold. She saw more of runnerbeasts than other children most of the time; her mother was her closest friend, and taught her how to ride and care for the beasts. Her education in other regards was overseen by a busy journeyman Harper from Ierne, mostly out of books and bi-(or tri-)monthly visits. It's perhaps a bit spotty, behind in some ways and ahead in others. Still, she was a bright enough child. Besides helping out her mother, Soriana spent many an hour wandering and exploring, whether on foot or on runnerback. When she was nine she found an abandoned baby tunnelcat, which she brought home wrapped in her tunic. She named him Inkfoot, fed him milk from a soaked cloth, and ignored all the times he bit her. A few months later, she had herself a mostly tame pet to accompany her on her explorations. At the age of thirteen, she came to Xanadu Weyr with her mother. She was at first uncertain about settling into life there - and learning how to interact with others her own age. The dragons were easy. She'd been around Yumeth forever; there's just more of them here. The kids, on the other hand… proved manageable. Shy at first, she quickly ended up known throughout the weyr's under-ten population as the tunnelcat girl due to Inkfoot's surprise popularity. Somehow she weathered the storm of grubby fingers, and slowly began to make other friends, closer to her own age. First was Idrissa, a girl she'd already known from visits during childhood who'd come along to work with the runners, and from there… ah, from there were others. Shy no more, she bloomed into a confident, playful, and perhaps sometimes bossy (or so some of the younger weyrbrats claimed!) girl. Along the way, she went on an adventure into crumbling ruins that had her confronting a wild feline and getting a brown firelizard, and found herself face to face with a real live murderer! (Though she only found out about that after the fact.) Not only that, she went to a dance - with a boy. At the age of fourteen turns, there was just one problem: She still had no idea what to do for a trade. Nearly all her friends were apprenticed already, and she… well, she just wasn't sure. Yumeth rose again, and this time, Soriana was asked to stand for the clutch. She accepted eagerly, but things turned out to be anything but simple. An anonymous gift of a firelizard egg brought her a gold, that boy she danced with turned into an actual relationship, and then disaster struck. A heating malfunction on the hatching sands led to damaged eggs. Despite being carefully tended at the Dragonhealer's Annex, only two of the eggs survived to find their lifemates, but at the end of that candidacy, Soriana found herself, if dragonless, sure of what she was going to do. She was going to be a dragonhealer. So she started studying, spending her time between practical lessons at the Annex and book-learning at the main school at Ierne Weyrhold by catching rides with the senior students and teachers who regularly traveled back and forth. Sometimes, she even got to go along with some of the senior dragonhealers on their visits to other Weyrs to check on particularly interesting patients and consult with the locals. After all, they needed somebody to hand them the forceps and rinse things in redwort. Her studies continued - as did her relationship with that boy - until she was searched by Anoryn and Rysith for Sahazyth's clutch. Candidacy was a time of friendships and of learning to balance things against each other - her studies, her relationship with Kale, her candidate chores. She wasn't always as successful as she might have liked, but at last hatching day came. The wait was over! …and then Luraoth danced her way across the sands and found her, and Soriana discovered that candidacy had just been practice for balancing her life with that of a golden dragon. Poetry in motion, this gold moves with a fluid vitality that cannot be made. One has to be born with it, this unique something, this je ne sais quois that defines the rest of one's life. Though diminutive for her color, she is long of limb with a lithe, lissome tail, slim wings gracefully tucked against her back when not in flight. This balance of her body allows her to sashay on warm vanilla paws, the color melting up carpals and wrists in a delicate, nigh-lacy brocade before splashing across her slender stomach. The rest of her body is characterized by brightness, a polished gold that can't help but glisten in the sun. A spirited amber whorls across her hide in an exquisite dance, begging lighter flecks of cream and chiffon to stand out like pinpricks of starlight in a golden sky. Aureolin shades delicately dust high cheeks and an aristocratic nose, lending a subtle familiarity to this otherwise refined creature. Nimble, dexterous wings are alternately marked by pale yellow tides and flickering flames, hints of an effervescent duality that may only be realized with time. Pudmuddled. That's a good way to describe this brown at first glance. Pudmuddled. Gooey bistre defines the majority of his hide, seemingly solid from afar, like so much silt congealed at the bottom of an undisturbed pool of rain water. Flickers of lighter beige and ecru shimmer in rippling patterns, lending him a certain sheen of wetness that makes him look permanently rainsoaked. It's okay, though - up close, he is absolutely beautiful, hide tattooed permanently with a bluish umber tone. It swirls, and drips, and marbles like so many miniscule henna'd drips and drops, marking him forever as a silver lining in what may otherwise be a dreary rainstorm. Eek! It's a good thing this egg is so large, or one could totally mistake it for a beetle. Its hard shell is warped and sectioned like a carapace, painted a dark and iridescent blue that always seems to change. Little striations of green and pale red can be picked up in direct sunlight, while darker glimmers of silver and black are best seen after dark. It would be pretty, if it didn't look like it'd sprout legs and feelers and go running under your bed roach-style when someone suddenly turns on a light. A hot summer's day, and yet Soriana is indoors. Not just indoors; no, she's lying next to the hearth, sprawled out on her stomach with a book open in front of her. The book is on wildlife; a tome in a series from the Beastcraft hall about the different creatures of the world and how they live. This volums focuses on the ocean and shorelines; a joint venture with the Dolphineers. Interesting reading, even if she does pause sometimes to sound out some of the bigger words. E-pi-pe-la-gic zone. 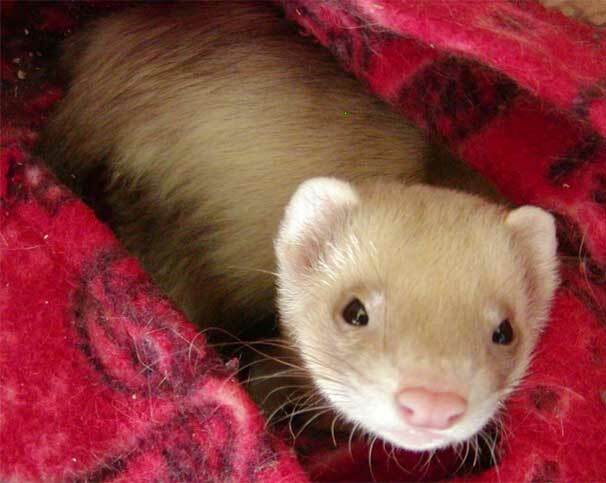 She mutters it under her breath, and Inkfoot peers up from his position beside her on the rug to dook questioningly. She pets the tunnelcat without looking down, and he lowers his head again with a contented chirr. The girl continues reading, flipping a page and then pausing in her ferret-petting in order to take a sip from the mug of chilled juice sitting next to a plate of assorted nibblies absconded with from the caverns. The fire cracks and pops, as she reads, and Soriana's begun to tune it out again when an inquisitive chirp from Inkfoot makes her realize that last crack didn't sound much like the fire. She looks up. On the hearth is a small basket filled with sand. Half-buried in that sand is the curve of a glistening egg, darkly blue and shot through with glimmers of other colors that change depending on how the light strikes it. It's been resting there, warmed by the fire… but the egg is resting no longer. There's a crack running along it, centered around where a spot where a shard of eggshell has been pushed away. Inside, something moves, the whole beetle-carapaced egg wobbling and squirming. "Oh!" says Soriana, her eyes widening, and her book is abandoned to the floor with a thump as she scrambles up to crouch over it. Hatching, hatching, it's actually hatching! She pushes back the sand from around the edges with trembling fingers, watching as another shard flies. Inkfoot hops up onto the hearth, peering curiously at the shuddering egg. He rears up and puts his paws on the edge of the basket, looking in, and Soriana reaches over to stroke her fingers along his back. "We're going to have a new friend," she says, her tone half-amazed, half that voice of command used for beasts. Friend, yes. The tunnelcat should be thinking about friends, not about hunting. Friends, with the occupant of that egg. It goes still for a moment, and Soriana holds her breath unthinkingly. Is something wrong? Is the hatching… not happening? She reaches out toward it, not sure what she's planning to do but knowing that she must do something. The egg cracks open, and a glistening head emerges. Whirling red eyes meet Soriana's, streaked with orange like a fast-rotating galaxy as the hatchling gives a loud squeal that makes Inkfoot dance from side to side, jumping about. "Oh! You're hungry," says Soriana. "Of course you're hungry, of course…" she's rambling now, not daring to take her eyes off the so-small creature as he wrestles with his too-confining egg. The girl reaches back, groping blindly for the plate. There's a clink, and she glances back to see her glass of juice fallen over… but never mind that now. What she needs is that food, and she snatches up the plate and turns back just in time to see one wet-mottled brown wing extend from the shell as the hatchling fights his way free. The little firelizard shrieks triumphantly as he pulls free of the egg, and takes a wobbling step forward that totters him off the edge of the basket - right into Soriana's reaching hand. The girl lifts up the tiny, delicate creature; such soft hide, such little claws digging into her hand, and she brings him against her chest in a gesture that's become instinctive from her time with Inkfoot as she offers the newly hatched firelizard bits of spiced sausage, meatroll filling taken rudely from its breading, anything and everything so long as it's food. The little brown eats eagerly, the swirl of his eyes growing less intense and the urgent red fading through orange. His screeches of hunger stop, replaced by the sound of eating, and then… then that stops as well, and he lets out a soft croon. Soriana sits back, holding the little dragon-kin in her arm. Her gaze holds equal parts astonishment and pride, and she smiles as the brown looks up to her with eyes that now swirl blue - though still flecked with latent hunger's orange. A hatchling is a hard thing to satisfy entirely. "Wow," she says, and Inkfoot dooks as if to agree. The tunnelcat has clambered his way atop the basket, straddling the broken eggshell and investigating. The shards of it still catch the light, bright and nearly so multifaceted as a little firelizard's eyes… nearly. The echoes of their multiplicity of color shows in the brown's hide; the wetness of hatching has faded, but the little creature still seems damp; spattered with water, like bare earth in the middle of a quick, heavy rainstorm, or the way a shore looks as the tide goes out - a study in wetness, from near-dry to fully soaked and all the shades in between. "Little water-lizard…" Soriana murmurs to him, and he croons softly back to her. She pets softly along his head, and he butts in against her fingers, long neck curving. "Little shore-lizard…"
After a time, he makes another cry of hunger, this one softer - almost questioning. Soriana offers him a chunk of sausage, looking around as he eats it with something approaching dignity. The juice has soaked into the rug, leaving a reddish stain… that'll be a pain to clean up. At least the glass didn't break. There's her abandoned book, fallen open to a random page. A chapter heading. "Maybe that's what I'll call you," says Soriana to her new firelizard. "Littor… no. Toral. Just Toral." With his eyes swirling the blue of water and the green of sea-foam, Toral croons his satisfaction. Soft spring golds alight across the soft suede hide of this rather large golden firelizard. The soft gentle hues seem to shimmer with the faint colors of the rainbow that are sprinkled across the golden surface. Shimmering speckles of white-gold surround her head knobs in what could be described as a crown, while the same pale shade twines around neck like fine ribbons. Long and elegant, her sinuous tail is by far longer than is average, and complements her large wings as well. Both are covered with the same jeweled sparkles of color, though here wings are more amorphous due to their translucent coloring. A display of color splashes across like a rainbow that has been scattered into an array of teardrops. Shimmering colors that seem to almost sparkle along the ovoid surface. Rather large in size, the firelizard egg is near perfect in it's shaping, though a small protuberance near the narrow ends adds a little bit of character to whole ensemble.